Tomorrow's News Today - Atlanta: Goldberg's Slicing Colony Square Location? Goldberg's Slicing Colony Square Location? Atlanta-based Goldberg's Group closed their location at Colony Square on Peachtree Street in midtown. Goldberg's at Colony Square remains open but its closure is reportedly imminent. The bagel shop and deli, located on the lobby level of the office building near the intersection of Peachtree and 14th Streets opened in 2005 and replaced what had been Reuben's Deli. I heard rumors of this closure weeks ago, but was unable to obtain a definitive answer from Goldberg's corporate. Interestingly, the representative reached at the corporate office indicated just last week that Colony Square location was being "evaluated," but that there were no immediate plans to close the location. The Colony Square location was different than any of the other area Goldberg's as it depended nearly entirely on traffic from its neighbors above (in Colony Square) and around to supply the bulk of its business. Additionally, Goldberg's at Colony Square was the only unit not open on the weekends. When the restaurant opened in 2005, it was open seven days a week, but weekend service was later eliminated due to lack of business. According to my research, the Colony Square location was once a franchise unit but was more recently under corporate ownership. Goldberg's continues to operate locations in north Buckhead, Buckhead, East Cobb, Dunwoody and Toco Hills, in addition to four satellite locations at Hartsfield-Jackson Atlanta International Airport. The Goldberg's Group also manages and operates the Atlanta Braves All-Star Grill at Hartsfield Jackson as well as Capital City Wine & Spirits shop on Collier Road. Last week I also broke news that Goldberg's had plans to add an Atlanta Braves All-Star Grill location to 200 Peachtree downtown and also to the upcoming Avalon development in Alpharetta. Goldberg's also plan to open a Goldberg's Bagel Co. & Deli at Avalon as well as a licensed location of illy coffee. 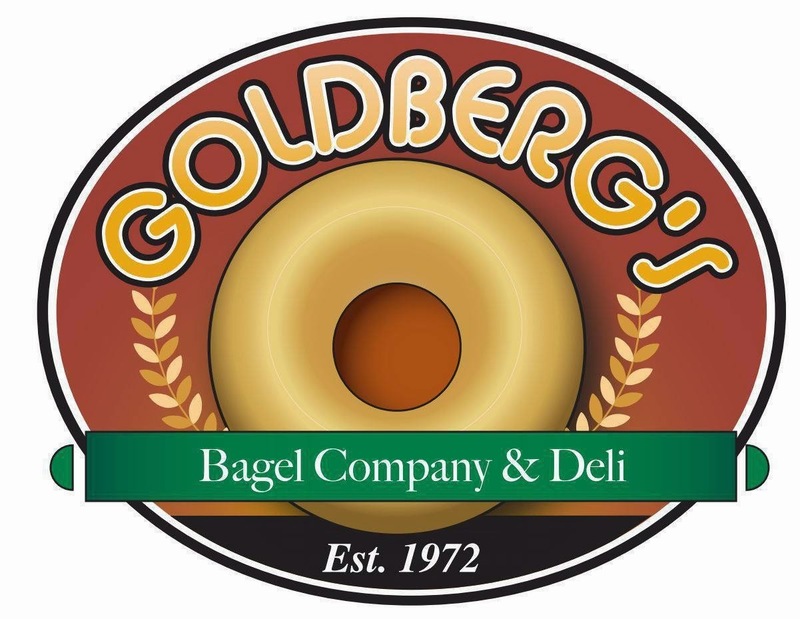 Goldberg’s Bagel Company & Deli, originally named Goldberg & Son, was started in 1972 by a father & son duo. The small local shop had just one location on Roswell Road in Sandy Springs until 1992 when it was purchased by partners Wayne Saxe and Howard Aaron, both of whom had immigrated from South Africa. Saxe and Aaron renamed the restaurant Goldberg’s Bagel Company & Deli, and built their New York-style delicatessen empire that now includes the aforementioned locations in metro Atlanta as well as the additional airport locations. . Colony Square has seen plenty of restaurant changes over the past few years with many coming and going. J.R. Crickets closed its Colony Square location last year after a short stint, while Gyro Wrap closed but was reborn as B.Y.O.B., a gourmet burger shop that has proved to be among the more popular food options. Moe's Southwest Grill is reportedly busy on "Moe Monday" when it offers value priced burritos, but struggles on other days. Cedar Grill, which has been in Atlanta in various locations for what seems like decades, opened in the former Aaron Rocco's space and serves traditional Mediterranean fare. The large two-level Houlihan's space remains vacant. For those in midtown still needing their bagel fix, nationwide-chain eatery Einstein Bros. Bagels maintains a presence in the area with another location in the works. Einstein Bros. Bagels currently operates locations at the corner of West Peachtree and 14th Streets and near Ansley Mall on Monroe Drive. A new location is currently under construction and is slated to open later this summer at 800 Peachtree. I hate to say this, but Goldberg's is one place I will not patronize mainly due to the rude service I've experienced many times at the Buckhead location. The food is also just mediocre at best in my opinion. For a place that is supposedly closed, I heard "Godlbergs" at Colony Square sure did look packed today at lunch, that an empty table was hard to find. Multiple Goldberg's locations confirmed over the weekend that the Colony Square location had closed over the weekend. New reports indicate the shop will in fact close this coming Friday, March 21st. Calling Einstein's round-shaped, dough products a bagel is a stretch. While Goldberg's is not an ultimate bagel, at least they produce the semblance of one. Colony Square is the epitome of poor ATL planning - a streetscape turned in on itself. Unless you're in the building, you have no reason to go into the building. At the time CS was built it was pretty cool and forward thinking for Atlanta since it was the first mixed use development here. I remember my mom taking us there to go ice skating after church. I'm probably wrong, but I thought I say a Goldberg's sign "coming soon" at the bottom of the new Midtown high rise, SkyHouse Midtown. You are right and wrong. A place called Momma Goldberg's Deli is opening at SkyHouse. Please see this earlier post. Thanks for your interest comment and readership. Once they stopped serving the locals on the weekends (where else except Einstein Bros to get a basic brunch in 2007 in midtown?) I gave up on this place. In the handful of remaining times I went, they couldn't keep my 2-bagel order straight. "Oh...you wanted sliced, not toasted"... No real loss, and that is sad. Goldberg's at Colony Square is still open as of 3/28/2014. Goldberg's has been closed every day this week. I'd say it's likely gone now. Eviction notices on door. Goldberg's $72,000 past due on rent posted on door. Talking about putting other people's business on front street. WOW!! !